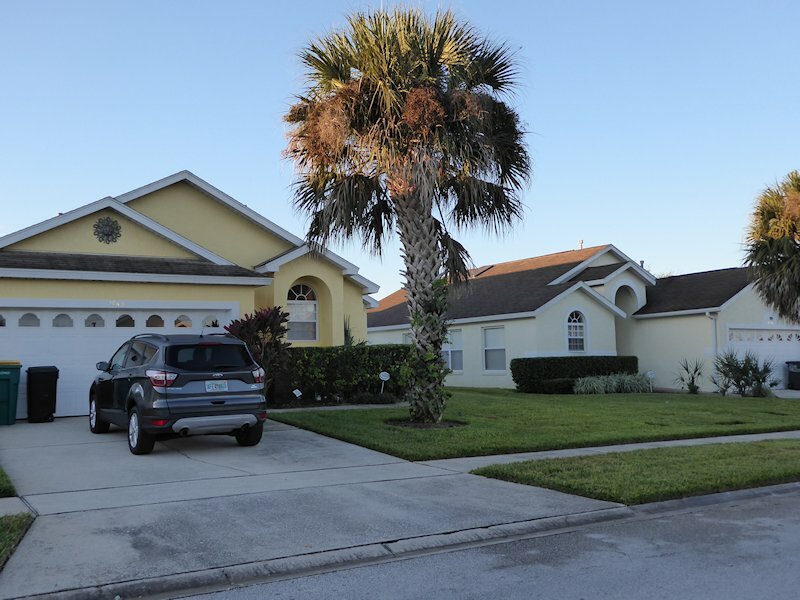 Location is everything - Indian Creek Villa is situated on one of the closest residential estates to WDW and next door to our 4 bed / 3 bath villa. 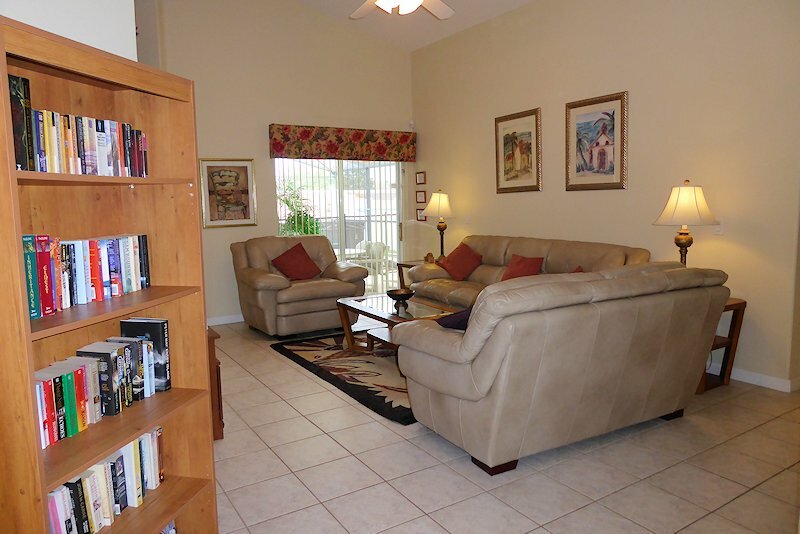 Just 3 miles from Animal Kingdom and 1 mile from Formosa Gardens shopping centre (mile marker 4 on highway 192) where you will find a selection of shops and restaurants – including Outback Steakhouse, Red Lobster, TGI Fridays, Carrabas. Close enough to the parks to be able to pop back for lunch and an afternoon swim or rest before returning to parks for the evening entertainment – fireworks, parades and shows. 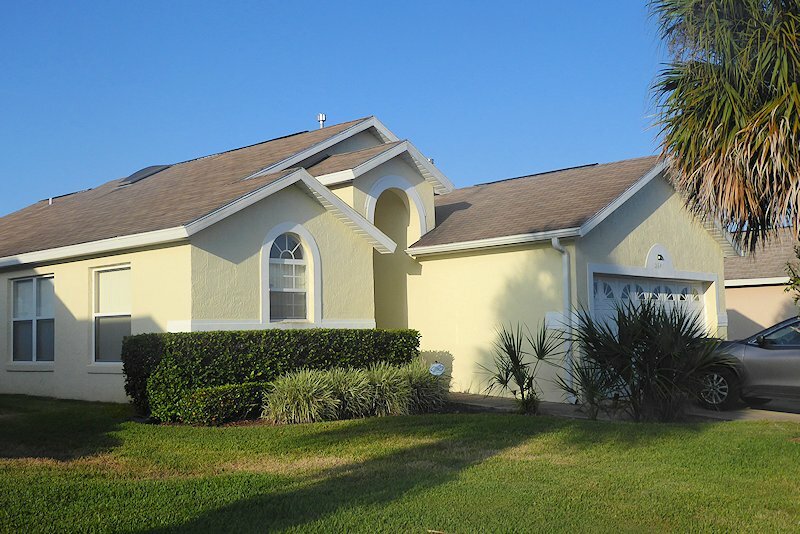 Indian Creek is a quiet residential estate including two children’s playgrounds, tennis courts, baseball court, jogging circuit and small putting green all free to Indian Creek guests. The house is equipped with everything you need for the perfect holiday having a totally private fully fenced south facing pool & hot tub, fully equipped kitchen with an open gathering room & dining area. FREE WIFI, FREE use of safe, monitored alarm system, FREE use of TomTom, cable TV in all bedrooms, games room. Sleeps 6 in comfort. Entertainment for all ages. "Great villa in a fabulous location! Sat Nav was especially helpful! Caroline & Nick were so thoughtful, answering our many questions before we arrived! Our girls also loved receiving the Christmas cards in the run up to our stay. Thank you – we hope to return one day soon! Best villa ever – Ava"
"It was a perfect villa. Thank you for letting us stay for two weeks. As our grand daughter Jessica has said (age 8) we had a great time in the villa. Caroline & Nick were very helpful in making sure we enjoyed the villa. Brilliant!" "Perfect villa! Had everything! Such a great place to stay – wish it could have been longer! The owners have been amazing – went over & above. The villa is in an ideal location – we will be back!" "Totally wonderful villa, in a fantastic location. We arrived to a spotless villa and pool with everything we needed for a fabulous holiday. Nick and Caroline were amazing, so friendly and helpful with our many questions. I would stay here again in a heartbeat. In fact myself and hubby and our 2 boys do not want to leave! We are hoping to come again in maybe 2017 /18 and will be hoping to stay here at this gorgeous villa again. Thanks you so much"
"We have had a great time in your lovely villa – so glad you had a space for our very last minute trip! Our son has really loved the swimming pool. Hope we can stay again in future"
"Wonderful villa, well stocked with everything required. Appreciated its proximity to Disney (especially Sherbeth Road shortcut!!) Pool & hot tub great after a long day at the parks. Thank you Caroline & Nick." "Thanks for a wonderful stay at a superb villa, which has everything you need for a great holiday. 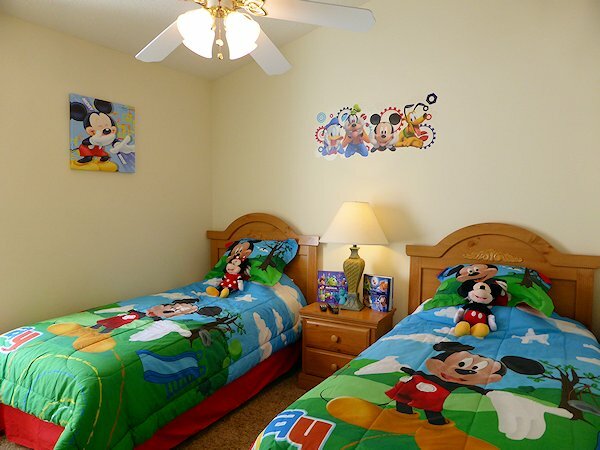 Perfect for relaxing after a hard day at the parks! Very handy for Disney too – love the short cut! We really enjoyed ourselves staying here – only wish we didn’t have to leave. Thanks to Caroline and Nick for being so helpful and informative too. Would love to come back and we will certainly recommend the villa to family and friends." "We regularly stay at Indian Creek in a villa but this villa is the best we have stayed in. we have had a wonderful 3 weeks. Caroline and Nick have been wonderful to deal with. We hope to stay here again soon. Thank you Caroline and Nick." "Thank you so much for a lovely stay. Villa amazing, owners were very helpful and informative, nothing too much trouble !! Location perfect, boys enjoyed pool and hot tub. Beautiful and comfortable, everything to hand." "Thank you for a lovely stay. We had a brilliant time. Everything was brilliant. Nothing too much trouble. Fab place, lovely owners and management company. 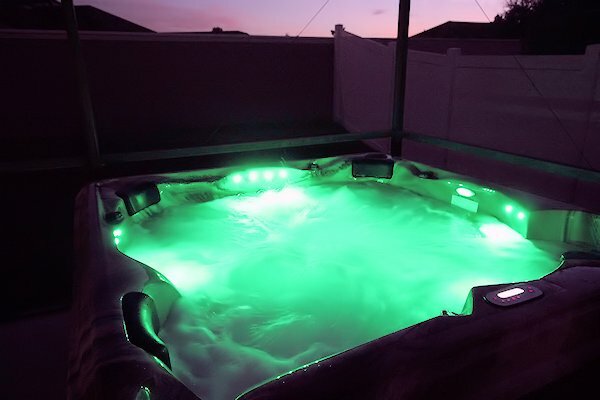 Hot tub fab!" 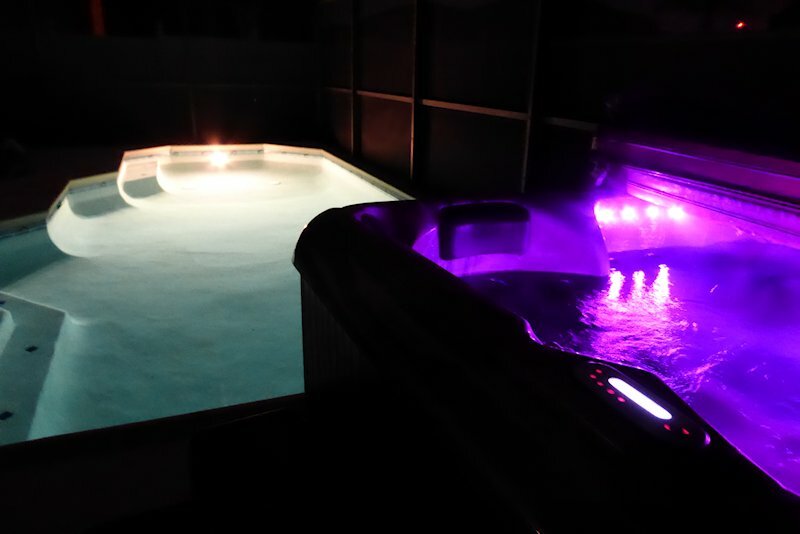 "Fantastic accommodation, loved the hot tub! It was great. Had a wonderful holiday with brilliant weather. Nothing was too much trouble if asked by owners “Caroline & Nick”. Thanks guys could not of asked for more"
"Definitely 5* accommodation. Excellent location. Great communication from booking of the villa onwards from the owners. Had a great vacation. The back road tip was really excellent. " "***** 5 star award - fantastic villa extremely well equipped with all the comforts of home and more, couldn’t have asked for more except maybe a few more months!! Hot tub was wonderful. Good location. 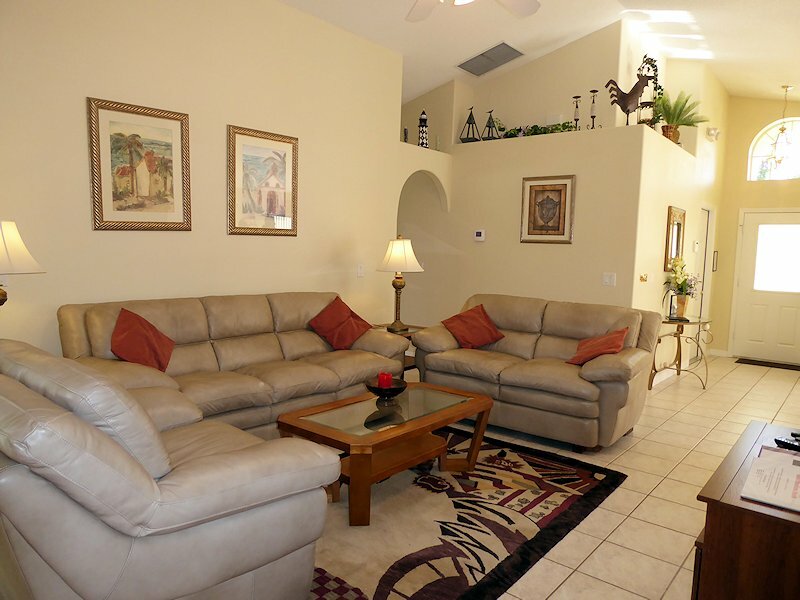 Helpful, kind owners nothing was too much trouble." LIVING ROOM contains a 3 seater sofa, 2 seater sofa and an armchair, tables, a TV, DVD player. WIFI. Ceiling fan. KITCHEN AND DINING The fully equipped kitchen includes a electric cooker, large fridge / freezer, microwave, dishwasher, coffee maker, toaster, juicer, telephone. A range of kitchen ware safe to use around the pool and sun deck. 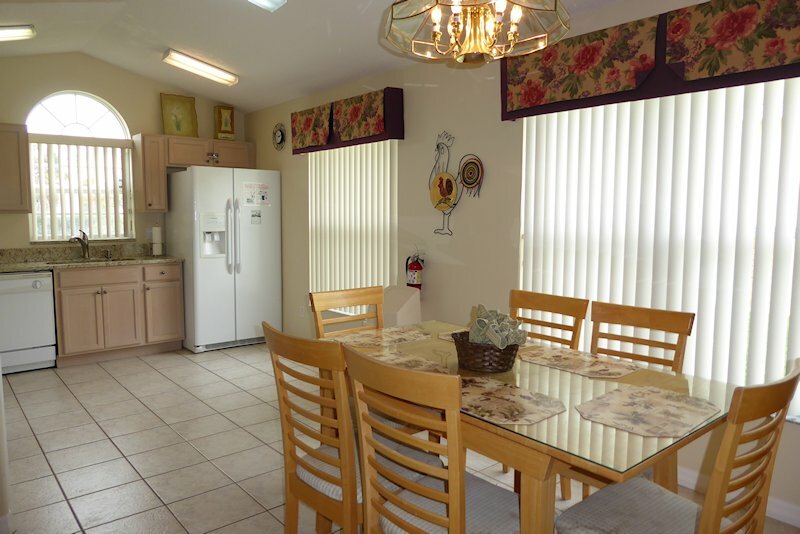 There is a table and 4 chairs in the kitchen / dining area. 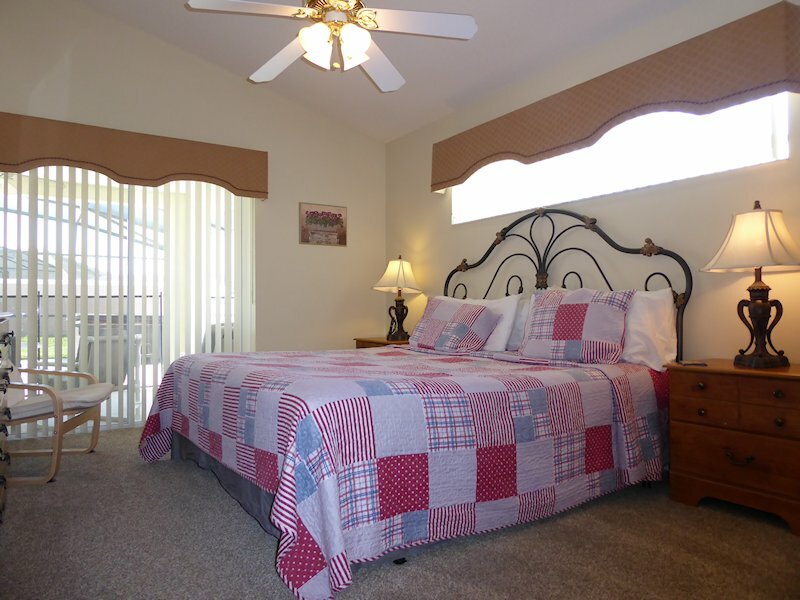 MASTER BEDROOM has its own access to the pool area, a king-size bed, wall mounted TV, clock radio, telephone, ceiling fan. The en-suite facility has a large corner bath, walk-in shower cubicle, vanity unit, toilet, hairdryer and walk-in wardrobe. DOUBLE BEDROOM is equipped with a queen-size bed, wall mounted TV, clock radio, telephone, ceiling fan. The en-suite facility has a bath with shower, large vanity unit, toilet and hairdryer. 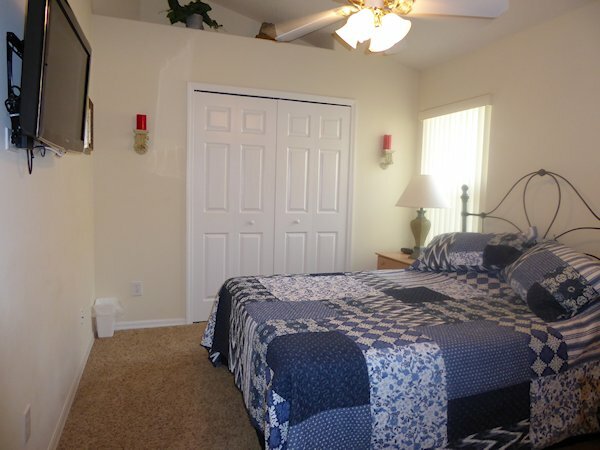 TWIN BEDDED ROOM has a wall mounted TV. The double and twin bedroom share a full BATHROOM which also provides facilities for people using the pool and sun deck area. THE SOUTH FACING POOL AND HOT TUB is contained within its own screening. The pool & hot tub face due south thus benefiting from sun from early morning until evening all year round. 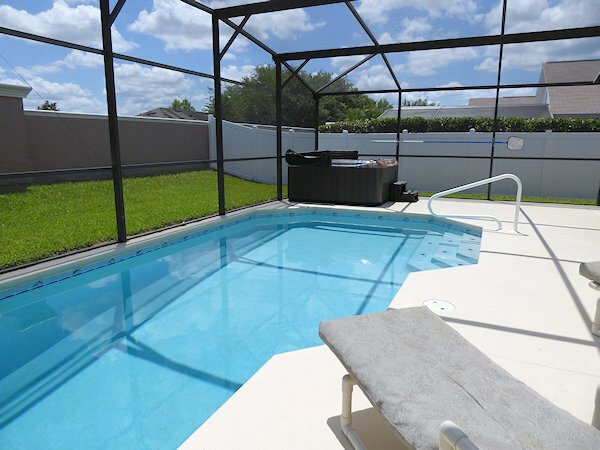 You also benefit from increased privacy as the pool and sun deck is fully fenced and not overlooked by other properties. Pool heating is recommended from October – April. 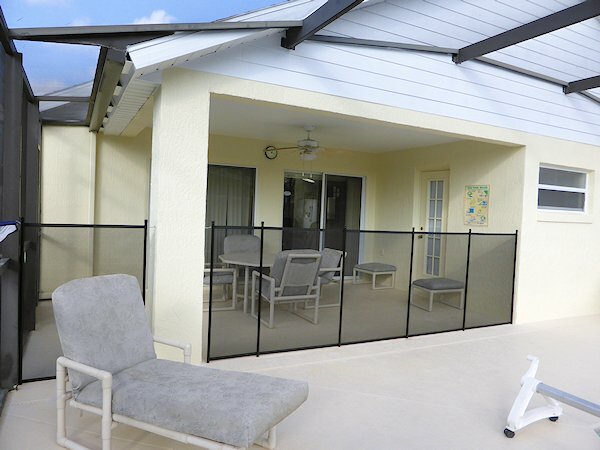 There is a covered lanai area providing shade during the hottest part of the day, where you will find a table and 4 chairs for outdoor eating. There are also a further two reclining chairs with footstools and two loungers. 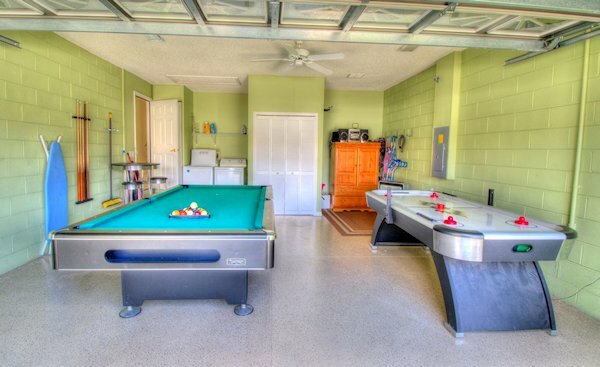 GARAGE contains the washing machine and tumble dryer and also pool table, air hockey dart board.